Pastor Jeff Hawthorne started his ministry with Brent Alliance Chapel in January 2014. 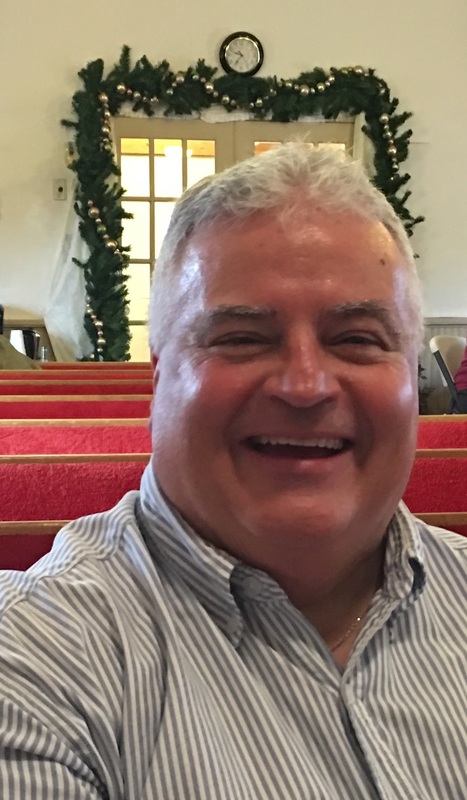 He joined the church with over 25 years of serving others professionally (social services and physical therapy). Pastor Jeff felt led to the ministry for years, but wanted to find a church that felt like the right fit at the right time. Since becoming Pastor, Pastor Jeff and the Church have been making changes. He has challenged our church to have an authentic faith, and as we walk this faith, do so with honesty and humility with ourselves and those around us. Pastor Jeff’s humility in himself and the church has been refreshing. He has made learning and experiencing the word of God easy and interesting. As he reminds us, we should be like the Apostle Paul and fight the good fight. He has also helped us rediscovered being a church focused on fellowship, studying God’s word together and enjoying each other company outside of the normal church setting. Pastor Jeff has a BA in Social Sciences from Nyack College, and a Masters from Alliance Theological Seminary in Divinity. We invite you to come in and get to know the church under Pastor Jeff’s leadership. I was born and spent my early years on an Air Force base where my father served in Altus, OK. After my father finished his service in the Air Force, we relocated to Warren, OH where I grew up. I attended and graduated from Nyack College with a degree in Social Sciences, and a Masters in Divinity from Alliance Theological Seminary. I spent the next 20 years working in the field of social services. For the first five years, I worked with children and their families in residential treatment centers and community group homes in New York City. In 1994, I came back to the Mercer county area and continued working in social services. In 2009, I earned a post-graduate as a physical therapy assistance, and have been doing that as my primary vocation for the past six years. I had always felt called to ministry, but hadn’t found the right opportunity to do so until January 2014 with Brent Alliance Chapel. My goal with the church is to lead us as a church of tough faith and authentic faith through honesty and humility. I want to create a warm and open environment, where we leave our “religion” outside the door and wrestle with the issues of faith ground in the Bible and in a belief of God the Father, Jesus Christ, and the Holy Spirit. I want our doors are open to anyone and everyone, seeking the Lordship of Christ in their everyday lives. I hope our goals and objectives remain clear as we press on in our faith and work out our role in being the salt and light to the culture. I look forward to meeting you in the future.